Merry Christmas! 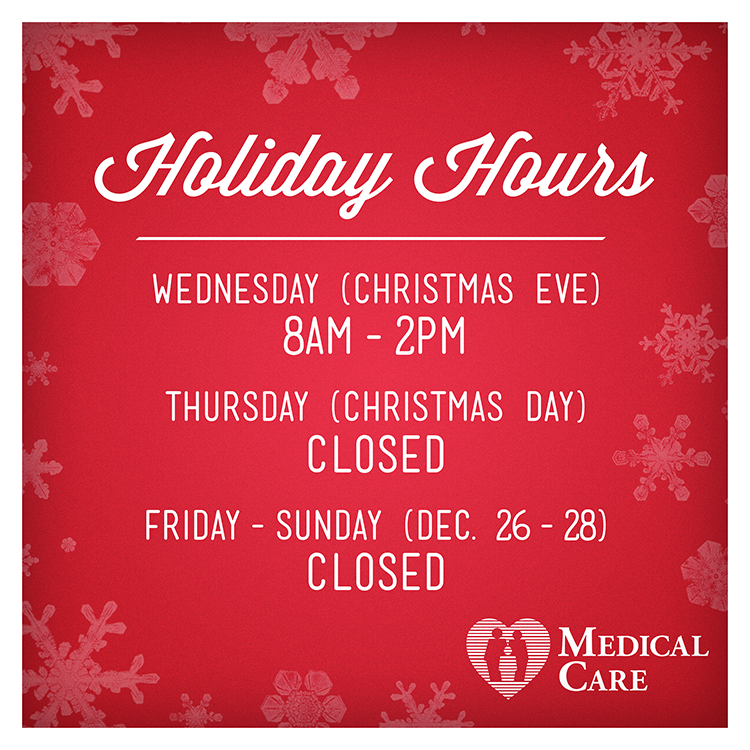 Medical Care will have a limited schedule this week, so that our employees may spend time with family over the holidays. We will re-open on regular schedule Monday, Dec. 29th. With 2014 winding down, December is the perfect time to schedule your child’s (or your own!) annual physical. Call us at 423-929-2584 to schedule your appointment at Medical Care today!